Goes on sale in the second half of the year in Latin America. Renault has finally unveiled its first ever pick-up truck in the French brand's long history, dubbed as the Renault Duster Oroch. It made its world premiere today at the Buenos Aires Motor Show, and will be offered exclusively to the South American market. The Oroch was previewed by a concept last year in Brazil, and it is designed by Renault Design Latin America. Previewed by the Renault Duster Oroch Concept, the front mirrors the design of the SUV it's based upon - the Renault Duster. It retains an identical front-end, save for the "Duster" nameplate underneath the single slat grille. Coming to the side, the first half from C-Pillar to the front end looks relatively the same as the Duster SUV. It's the second half from C-Pillar to the rear end which sets itself apart by an extent. It follows a double cab pickup body style, which aims to attract private buyers too. At the rear, it gets a new pair of tail-lamps that suits the new body style, and distinctive "Oroch" badging under the lozenge. 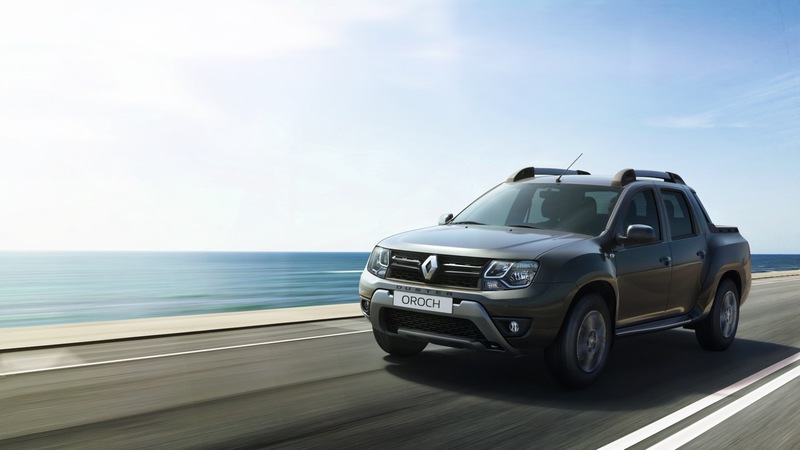 The Oroch will launch with the Duster's 1.6-liter and 2.0-liter engines with possibly 5-speed MT, 6-speed MT & 4-speed AT, in 2WD and 4WD guises. 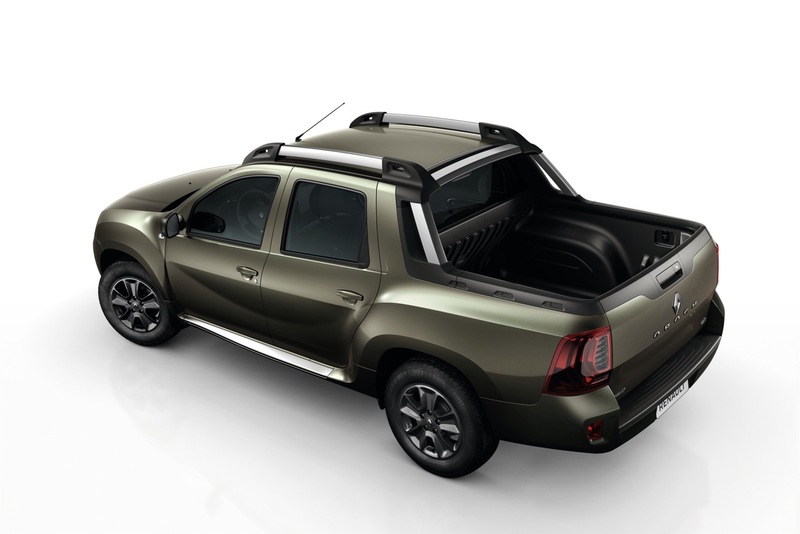 Although Renault haven't revealed the final dimensions, the pick-up bed is (reportedly) 1.35 meters long, has a volumetric capacity of 683 litres and load capacity of 650 kilograms. Unlike the exterior, the whole interior remains virtually identical to the Duster SUV. Characteristic features include a 3-spoke steering wheel with buttons, a MediaNAV 7-inch infotainment display, and a full black interior theme with silver accents and piano black trim. The interior is borrowed from the Duster with features like multi-function steering wheel and a 7-inch MediaNAV system. Renault has confirmed that the Duster Oroch will also offer 1.6 and 2.0-liter four cylinder engines. In the Duster SUV, the former delivers 115 hp through a 5-speed manual, while the latter delivers 148 hp and 177.5 Nm of torque on ethanol or 142 hp and 168 Nm on gasoline through a 6-speed manual or even a 4-speed automatic, with 4×2 and 4×4 drivetrains. The Renault Duster Oroch is scheduled to be launched in the second half of 2015. Prices will be announced closer to launch.